WE HAVE YOUR MINIATURE DONKEY!" Quarter Moon Ranch has been breeding miniature donkeys since 1992. 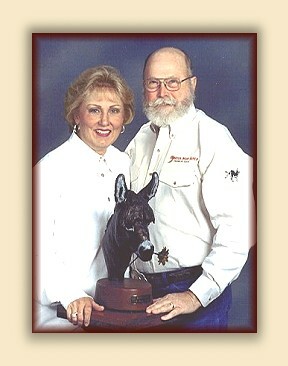 Quarter Moon Ranch was awarded Ambassadors for the Breed for their work in the promotion and welfare of the miniature donkey by both the National Miniature Donkey Association (NMDA) and the American Donkey and Mule Society (ADMS). Quarter Moon Ranch founded the Rio Brazos Miniature Donkey Expos, the largest international miniature donkey event, attended by owners and breeders from the United States, Canada, Europe, and around the world. Carolyn is education chairman for the National Miniature Donkey Association (NMDA). Carolyn's articles have been featured in the ASSET, BRAYER and many trade publications in the U.S. and Europe. Quarter Moon Ranch has been featured on national television and in print. 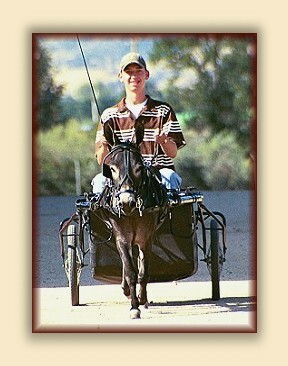 Quarter Moon Ranch is breeder of NMDA, ADMS, and ACOSA National Champions and Best of Breeds as well as Grand Champions throughout the U.S and Europe. Quarter Moon Ranch breeds miniature donkeys with substance, width, beautiful heads, friendly dispositions and outstanding conformation. Quarter Moon Ranch is known for their honesty in doing business, enthusiasm for the breed, and willingness to share any and all information with new owners and breeders. This isn't a business to us, it's a love affair! Get to know Pete and Carolyn, learn how QMR began and about their breeding philosphy. Find directions to QMR in Franklin, TX. 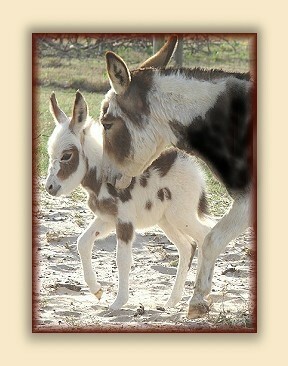 Enjoy a slide show of donkeys and life at QMR. 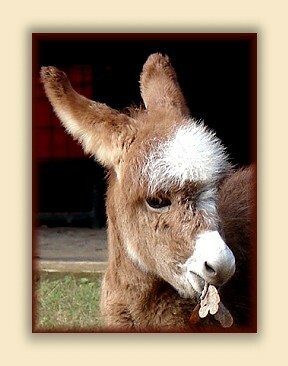 Learn of miniature donkey shows and events coming up for the year. 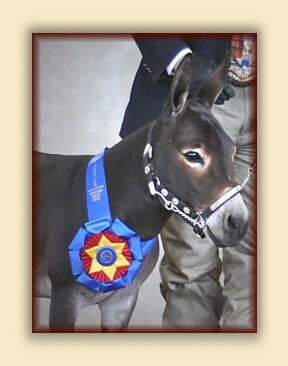 Discover links to miniature donkey organizations, catalogs, supplies, tack, carts, shippers and more. Read Carolyn's heart warming stories, as well as articles on foaling, getting started in the show ring, grooming and more. Learn about miniature donkey care, their history, and many more interesting miniature donkey facts. See photos and detailed information on QMR's notable herd sires, other reference sires and jennets and QMR's outstanding band of brood jennets. Discover how the success of QMR's breeding program has produced regional and national champions of the show ring. 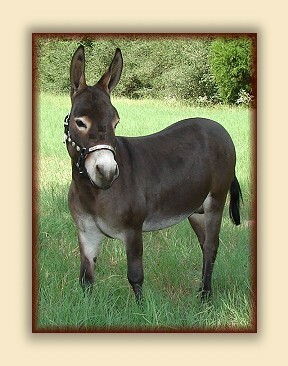 Find information, pedigrees and prices on QMR's miniature donkey jacks, jennets and geldings for sale. View precious new arrivals to the ranch.